Craniosacral Aquatica was developed by Andy Marcus based on his vision of combining classic aquatic therapies such as Aquafloating, Watsu, and Waterdance with the sensibility and perceptual skills of Biodynamic Craniosacral Therapy and breath therapy. Together with these integrative therapies, the healing, melting nature of warm water is accentuated. First we start with connection to the qualities of warm water. The water’s ability to softly, gently carry the body (buoyancy); the holding, enveloping, nourishing quality that comes from being held in water; the melting dissolving quality that water has which not only effects our bodies, but supports a dissolving of the thought process and stress. The water is a natural conductor and allows emotions and thought processes as well as traumas to dissolve and disintegrate. As adults, our bodies consist of 75 percent water. In the womb of our development, especially in our embryonic stage, is 99 percent fluid and our development is based on fluid dynamics. Because of this, reconnecting to being in the water can be extremely healing on its own. The aquatic therapies of this work was inspired by several integrative therapies; the most important being Aquafloating and Waterdance. Aquafloating is one of the aquatic therapies that teaches us to respond to the natural unfolding or unwinding of the body as the practitioner and client flow together in the water. This is based on our ability to relax in ourselves and gently connect with the quality of water and respond to the person in our arms. It is not based as much on techniques as a melting in trust and letting go into a natural flow. This way of working is greatly supported by Craniosacral perceptual skills, being in a neutral state and supporting our clients neutrality as well as fluid body, dynamic stillness, longitude, and health. From this way of working, all possibilities are open. Since we perceive from an open space without a specific agenda, we have space for all sorts of healing and movement to occur as each moment unfolds with the aquatic therapies. These movements can be very subtle and womblike at time, allowing one to flow in a state of suspended animation. At other times, they can be quite dynamic and playful and can get the sense of flying through the universe fully extended or be like a dolphin or fish playing joyfully in the ocean. With the synchronization of breath and the use of a nose clip, the movements start to go underwater enabling a complete flow of movement combined with the non-gravitational quality of water. There is then the possibility to move three dimensionally in all planes, not possible on land. The only limit is the length of the client’s breath that is closely monitored by the practitioner. Waterdance is one of the aquatic therapies that also facilitated underwater and uses a certain set of movement techniques that were developed by an Aikido teacher. These movements are very beautiful and flowing. Both the techniques and set movements can also be used to support authentic movement as well as initiating unwinding or movement when necessary. These graceful movements allow one to use the water in a flowing smooth way and to support transitions that are uninterrupted and in harmony with the water. There are also aspects of integrative therapies with Watsu, a therapy that is wholly above water, that teaches beautiful ways to support and move one above the water while creating safety (with good neck support and body support) and flow. The thoracic breath is bridge between the aquatic therapy and Craniosacral Therapy as well as a support for trust, rapport and the underwater aspect of the work. While working in the water a good part of the session, especially the underwater part, is spent in synchronization to the breath that in the water is very deep and profound. It is a full body movement based on the change of buoyancy as the breath moves, creating a natural gentle rocking motion. The integrative therapies lead to synchronization with the breath allows for a deep rapport (connection to subconscious mind) between client and practitioner and a deepening of trust, melting and presence. It also informs the practitioner when to take the client underwater and how long to keep them there with the aquatic therapies. The Biodynamic Craniosacral aspect of the work will be present throughout the session based on the quality of presence and touch of the practitioner as well as the depth of connection between the practitioner and client. The qualities of orienting to health, holding a neutral space allows for all possibilities to unfold. Awareness of the nervous system supports a settling and reeducation of the nervous system. The sensitivity to pick up subtle movements, holding patterns and traumas helps the client to release and reorient towards the natural matrix of health. This allows not only a healing of the body and nervous system, but also a deepening into meditation, peace, love, joy, wonder and awe. Ultimately, though this work can impact on many levels. Andy's greatest joy is to support someone to enter a deep stillness or meditative consciousness with the aquatic therapies, be deeply touched by it and to recognize its value. My work is combined with courses and training so others can move forward with their own healing practice. While living in Brazil, Andy developed a number of courses with Integracao Craniossacral working with its founder, Aziza Noguchi. He also taught numerous trainings in Sao Paolo, Brazil as well as at the Spa at Hotel Castao De Santinho in Florianopolis and Hotel Ponto de Luz in Joinapolis SP. 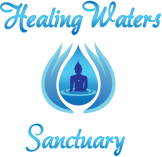 Please read more about training with Healing Waters Sanctuary.